We are happy to finally announce some very important results from the project. These results have been a long time in development and are great achievements for Folding@home in general, showing that the approach started 10 years ago can significantly advance the long-term goals of the project. In the early years of FAH, the focus was on goals 1 and 2. In the last 5-7 years, the focus changed to goal 3. Now it is time to announce some progress on the final goal! In an article published in the Journal of Medical Chemistry, researchers describe testing predictions made by previous work done by Folding@home, and how these predictions have led to a new strategy to combat Alzheimer's Disease. While it is true that this is not the cure to the disease which we all seek, it is a major step towards that cure. The next step, currently underway in the laboratory, is to test this new compound in the hope that it will be able to be turned into a usable drug. It is too early to discuss preliminary results (as those have not yet been peer-reviewed), but Vijay is pleased that the guidelines set out in the article do point to a viable drug, not just a candidate! 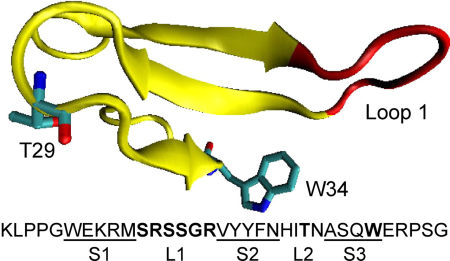 Article: Design of β-Amyloid Aggregation Inhibitors from a Predicted Structural Motif. Switch to core a4 for more points! Stanford definitely wants us all to move over to using Core a4, and they know full well how to motivate us to do so. Core a4, successor to cores a2 and a3, is the first that works equally well in both single- and multi-core modes. However this feature only works properly for v6 clients 6.34 and higher, and all versions of the v7 client. Currently the a4 core is used for the most modern projects, with core a3 being kept for projects released before core a4 was considered stable. In order to incentivise upgrading to use the new core, Stanford is using the ultimate carrot: a 10% points bonus on all units using the a4 core. This will not be visible on monitoring software as the project summary will not be updated with the boosted points, but will be applied by the servers nonetheless. So if you have not already, switch to v7 for more points! The utility of a naturally occurring protein given, sometimes to great effect, as a drug to treat advanced cancers is limited by the severe side effects it sometimes causes. But a Stanford University School of Medicine scientist has generated a mutant version of the protein whose modified shape renders it substantially more potent than the natural protein while reducing its toxicity. Centralized interface to manage all running cores. A new viewer that should work better. 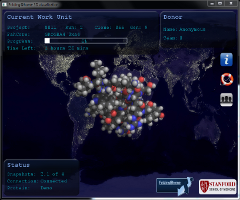 Ready: Discover Folding@Home, proteins, why to fold them and the most important, how to help. Fold: An installation guide, some information about the monitoring (FAHControl) and the viewer. Access to different level of help (FAQ, technical documentation and Official Forum) and a whole section about points, statistics, ladders and third-party statistic websites. The new website is simpler and more attractive so as the new client that would probably be of a great help to convert your friends and family to join the Folding@Home project. You don't have to be a power-user anymore, FAH is ready to be spread widely! A key aspect of the research done by the Folding@Home project has been the use of computational methods to design new drugs, mostly for Alzheimer’s disease. At University of Virginia, Michael Shirts' laboratory is developing these methods to use FAH power to fight diseases. Generally, the small molecule works as drugs by biding to specific locations of important proteins. For example, an antibiotic works by binding to a protein of bacteria which interfere enough with the pathogen's internal workings to disable it or to kill it. By targeting only protein sites that are unique to the pathogen, drugs can have a very precise effect without risking to hurt the human molecules or desired bacteria that live in our body (like intestinal flora which contributes to digestion). The same principles can turn on or off specific parts of our own protein machinery, allowing the design of drugs that fight diseases related to the breakdown, mutation or malfunction of our own cellular machinery, like Alzheimer disease, heart diseases, diabetes and many other conditions. It is however very hard to calculate exactly how tightly a given small protein will bind to a target protein, or even exactly where and by what mechanism it will bind. A number of computational methods are used in industry today to estimate the binding affinity of small molecules in the process of drug design, but they mostly rely on approximations that are computationally cheap and very approximate, rather than more expensive methods that have the potential to be much more accurate. With Folding@Home, researchers now have the capability to perform rigorous evaluations of these more complete methods, understand their limits, and make them more efficient and reliable. Michael Shirts' team has been developing its own method that works mostly on well known systems such as FKBP, a protein on the immune system signaling pathway. Once the methods are well-understood, we will be moving on try to design small molecules to treat AIDS (the HIV reverse transcriptase enzyme, required for DNA to replicate) and influenza (various proteins involved in virus cell entry). Such molecules will still require significant effort to make into drugs, since drugs also have to dissolve easily, penetrate cells, and not be broken down to quickly, but being able to predict more easily which molecules interact tightly with the intended targets will be a huge step in the right direction. Michael Shirts' team is also contributing to improve Folding@Home infrastructure by working to port new versions of the Gromacs molecular simulation platform to Folding@home and improving the interface and integration between Gromacs and Folding@home. In the past couple of years, Folding@Home has greatly contributed to the team’s research on understanding the molecular recognition processes. Molecular recognition, such as enzymes that need to recognize their substrate and drugs that have to be designed to bind to specific receptors, is crucial to biology and medicine. Experimentally probing the chemical details of molecular recognition events is challenging, while computer simulations have the potential to provide a detailed picture of such events. With FAH donors’ help, the team is running large scale simulations on a group of Periplasmic Binding Proteins aiming to reveal the general relationships between protein structures, its intrinsic dynamics, and mechanism of recognition process. Folding@Home projects involved in this experiment are in the 7700-7712 range. Professor Huang’s team greatly appreciates the help of all the FAH donors, the beta testers and the rest of the FAH team to make their research on molecular recognition possible. This news is coming from one of the key researches of the Folding@Home project which is studying proteins folding in collaboration with Prof. Jesus Izaguirre lab at the University of Notre Dame. The Izagurre's lab at University of Notre Dame is working with Vijay Pande's one at Stanford to produce a new GPU core that leverages the amazing speed of OpenMM implicit-solvent force calculations (the heart of Folding@Home GPU core) and adds a new method called LTMD (Long Timestep Molecular Dynamics). This combination allows an about 10 times simulation speedup over what OpenMM is capable of for systems from the WW domain (35 residues, 544 atoms) to the Lambda repressor (80 residues, 2000 atoms). This speedup allows about 10 milliseconds of simulation per day of computation, which get Folding@Home platform closer to the ability to simulate a single trajectory in the millisecond scale. In collaboration with Cauldron Development (lead by Joseph Coffland, main developer of Folding@Home v7 client and some cores), researchers are hoping to build a GPU core that might be the first CPU/GPU hybrid core. There are still some technical questions that need to be sorted out about how to best achieve this and a talk with beta testers should be engaged when the core will be closer to entering in production. To go further, researchers will continue to improve LTMD GPU technology to achieve greatest performance improvements on larger systems that will have a better biomedical interest. A very interesting improvement would be to extend this technology to explicit solvent simulations. 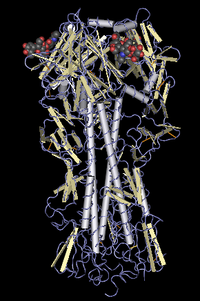 As far as scientific simulations, we simulate folding of about 80 mutants of the Pin1 WW domain, a protein involved in some cancers and the Alzheimer's disease. Understanding the role of these mutations in protein misfolding might have great biomedical consequences since many diseases have at least some components linked to protein misfolding. Another project that is about to start will simulate the dimerization during folding of proinsulin and its mutants, which results in some Type IA diabetes. Izaguirre lab thanks the Folding@Home donors, the beta testers and Vijay's lab for their generosity and their leadership that made such advanced simulations achievable. Progressive roll out of "BigAdv-16"
The "BigAdv" project has been developed on purpose to address the fastest machines available, which is of course a moving target. This project uses the highest-end machines involved in Folding@Home on projects that are unusually big (related to the memory needs or the upload/download requirements) and which require a large amount of computing power. Luckily over time, the CPU computing power is increasing and the high-end systems follow the same dynamics. 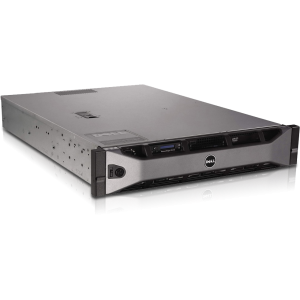 Scientific researches enabled by the folding donors are exciting and have an impact at both computing power and fast return needs. As a result, having 50% of computing power running "BigAdv" projects wouldn't help so as if older or bandwidth limited machines kept running these projects where fast return of result is very sensitive. As announced previously, Pande Group objective is to tighten the "BigAdv" projects deadlines. As a result, only machines with a minimum of 16 cores will be able to receive these projects. New projects are being designed for this new phase of the project that we will call "BigAdv-16". This design took a bit more time than expected, but researchers have completed internal tests and they are now starting the beta test phase. A new server has been set up to deliver these projects. Since it is an early release, points and deadline are monitored closely. You may expect some adjustments during the test phase. Once the new "BigAdv-16" projects will be stable, older "BigAdv-12" projects will be converted as "BigAdv-16". The schedule for these changes remains unknown. On the other side, the old "BigAdv-8" projects will be definitely abandoned (even if they are almost gone already). To conclude, the Pande Group is well aware that the number of cores is not a perfect measure for system performances. In the future, the team will attempt to design a better measurement. We will keep you informed about the changes when they will be announced. Happy folding and thanks for your continuous support to the project. This is like a storm in the most devoted folders world : starting January 16th, 2012 the BigAdv projects will require at least 16 cores (16 physical cores, or 8 physical core supporting HyperThreading technology). Stanford is aware that this decision will result in many disappointment and frustration for those who won't be able to get BigAdv anymore, since the BigAdv projects are earning a substantial bonus compared to regular SMP projects. But this decision was made to focus BigAdv program back to its initial goals: to provide a group of machine with higher computing power than average ones to work on a limited number of big projects that require fast return rates. Since the launch of BigAdv program, 8 cores have become the norm thanks to Intel’s i7 CPUs providing 4 physical cores with HyperThreading technology. The massive enthusiasm for these projects has created shortages, forcing researchers to open up more projects in parallel, which is not always possible. So, on January 16th, the « -bigadv » flag on machine with 8 or 12 cores will no longer provide BigAdv projects. It will automatically fall back to regular SMP projects.